A 19-level office building located at 50 Franklin Street in Melbourne's CBD is set to hit the market and expected to generate interest of $50 million, according to real estate company Colliers International. “This is a sizeable blank canvas for a purchaser – it is ideal for investment, conversion or development – in an unprecedented opportunity in the Melbourne CBD market this year,” said Colliers International’s Oliver Hay. 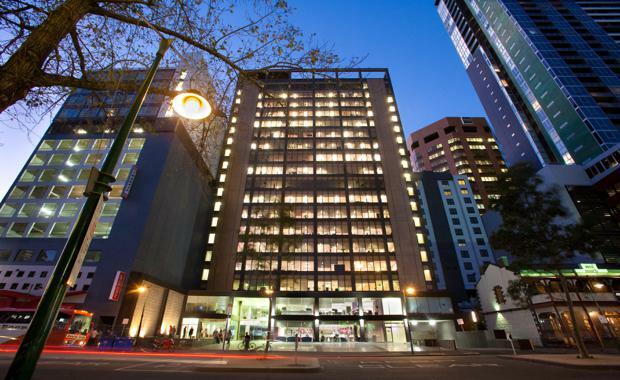 Located in the Melbourne CBD’s education precinct and on the doorstep of RMIT University, the building is situated on a 2213 square metre site surrounded by a range of major education, retail, commercial and residential landmarks. It is in close proximity to public transport including Melbourne Central train station and the Queen Victoria Market tram interchange, with basement car parking included in the building’s features for those who do not utilise public transport. The property has in fact had a long history of attracting big tenants including Qantas and most recently ASX-listed marketing services group Salmat. Mr Hay said the property was also well placed to benefit from strata subdivision and conversion to other uses, subject to the relevant approvals. “Strata office accommodation is a very attractive alternative to leasing given the current record low interest rate environment,” he said. “Many small-to-medium business owners are buying strata office floors as part of their self-managed superannuation funds. “The building has sought after 9B certification, enabling it to be leased to education tenants. Colliers International will proceed with the sale of this property by Expressions of Interest.